Get ready to celebrate Omaha&apos;s unique culinary scene with Omaha Restaurant Week, the 10 tastiest days of the year. Omaha is known for legendary beef - steak, burgers and the classic Reuben sandwich to name a few fan favs - but the city is growing into a top destination for every culinary curious diner. Omaha&apos;s cuisine ranges from farm-to-fork fresh to quirky fun and everything in between. Omaha Restaurant Week makes it easy for hungry diners to try all that Omaha has to offer at a reduced price. There are no tickets, passes or coupons required, simply dine out and enjoy. Browse below to learn more about Omaha Restaurant Week and check back often for updates. A portion of Omaha Restaurant Week proceeds will go to Food Bank for the Heartland. See where others are eating in Omaha! Dining in Omaha is an experience worth sharing. 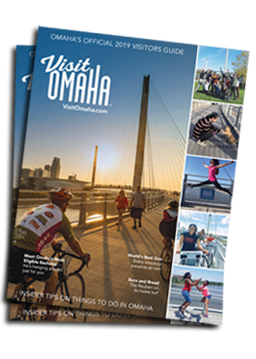 Tag your Omaha foodie excursions with #OmahaWeekend and tell us where you found the best crave-worthy dishes.